With more than 300 motorcycles on display, and over 2,000 guests in attendance, The Quail Motorcycle Gathering, presented by TUDOR, features one of the world’s finest and rarest collections of vintage and modern motorcycles sponsored by leading motorcycle manufacturers and top lifestyle, retail, and beverage companies ─ all hosted on the stunning green grasses of Quail Lodge & Golf Club in Carmel. Boasting a signature beverage pavilion, dedicated kid’s area, and a live performance by VENT on the KPIG Radio stage, The Quail Motorcycle Gathering truly has something for everyone. Entry is inclusive of a mouthwatering barbecue lunch, parking, and gear valet service for those riding a motorcycle to the event! Regarded as one of the nation’s most prestigious motorcycle concours, The Quail Motorcycle Gathering honors Best of Show with a Tiffany & Co trophy and a TUDOR timepiece. Entrant packages start at just $140 and includes two tickets to The Quail Motorcycle Gathering, an event gift bag, and an entrant plaque. 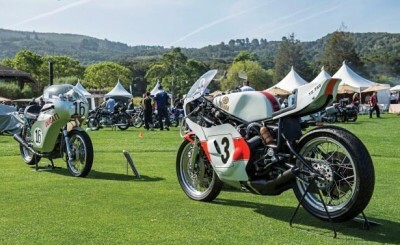 The Quail Motorcycle Gathering’s 2015 featured classes are Formula 750 Group, A Tribute to Military Motorcycles, and Chopper. The Formula 750 Group will bring together a historic display of distinguished road racing motorcycles with a 750 cubic centimeter engine capacity that became popular in American, British, and other European championships starting in the 1970s. This notable display will feature a combination of award-winning racing motorcycles coupled with historically significant manufacturer productions. A Tribute to Military Motorcycles will pay homage to the substantial role that motorcycles and the men and women who rode them played during World War I, World War II, and The Korean War – shedding light onto the historical significance of motorcycles in American history beyond sports and racing. 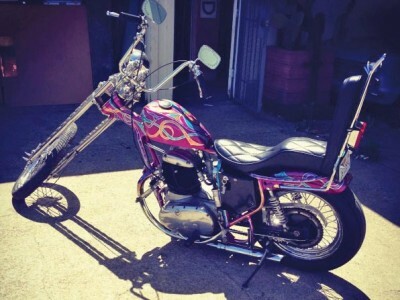 Representing the largest counter culture enthusiast group of motorcyclists going back to the 1960’s, the Chopper class will feature a selection of iconic custom-built or manufacture-modified Chopper fixtures in the motorcycle arena. 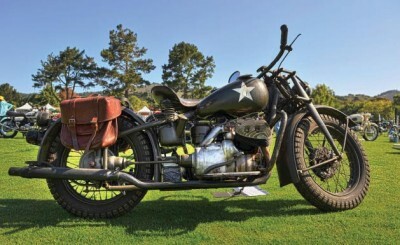 In addition to the featured classes, The Quail Motorcycle Gathering will continue with its traditional entrant classes consisting of: Antique, American, British, German, Italian, Other European, Japanese, Competition On/Off Road, Custom/Modified, and Scooter. This year, two racing legends will be honored during The Quail Motorcycle Gathering’s “Legend of the Sport” series. The 1969 AMA Grand National Champion Mert Lawwill and 1970 AMA Grand National Champion Gene Romero will be together for a rare appearance on stage. Lawwill won 17 National Championship races and amassed an incredible 161 AMA Grand National finishes during his 15-year racing career. He is also one of the featured riders in the 1970’s motorcycle movie classic “On Any Sunday,” where he co-starred with Steve McQueen and Malcolm Smith, of which Romero also appeared in. Romero’s career spanned 16 years, winning 12 AMA National Championship races and the 1975 Daytona 200. He was one of the first racers to attract sponsorship to the sport of motorcycling. Both Lawwill and Romero were inducted into the AMA Motorcycle Hall of Fame in 1998. To purchase tickets to The Quail Motorcycle Gathering, please visit www.quaillodgetickets.com or call 831.620.8910.